Congratulations to Dr. Jun Liu, Pacific Northwest National Laboratory Fellow, on being selected as a Materials Research Society Fellow. The society, with nearly 16,000 members from academia, industry, and government in 80 countries, strives to advance interdisciplinary materials science to solve vital issues and improve the quality of life. The maximum number of new Fellow appointments each year is limited to 0.2% of the current MRS membership. 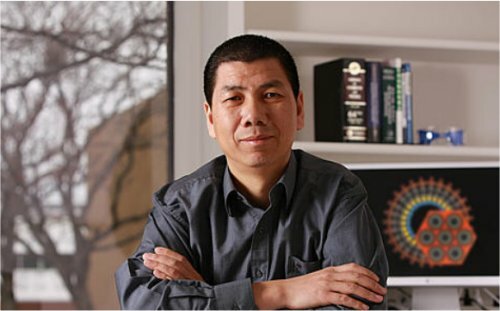 Liu was elected to a MRS Fellow for his contributions to materials research and the scientific community. At PNNL, he has advanced nanomaterials and catalysis synthesis and characterization for energy and environmental applications. His recent work includes developing graphene and metal oxide nanocomposites for advanced lithium battery applications. He has more than 250 peer-reviewed publications, more than 10,000 citations, and received 43 patents on his work. In addition to his research and work leading PNNL's Transformational Materials Science Initiative, Liu has volunteered with MRS since his doctoral studies at the University of Washington. Over the years, he has organized MRS symposia in the U.S. and China, provided reviews, given numerous invited talks, and edited numerous books for MRS. Currently, he is one of the meeting chairs for the 2012 Materials Research Society Spring Meeting. Working with this professional society has given Liu the opportunity to connect with others, share ideas and advance the scientific field. "I would encourage staff to be involved in this professional society for the good of our own career and the health of the materials community," said Liu.